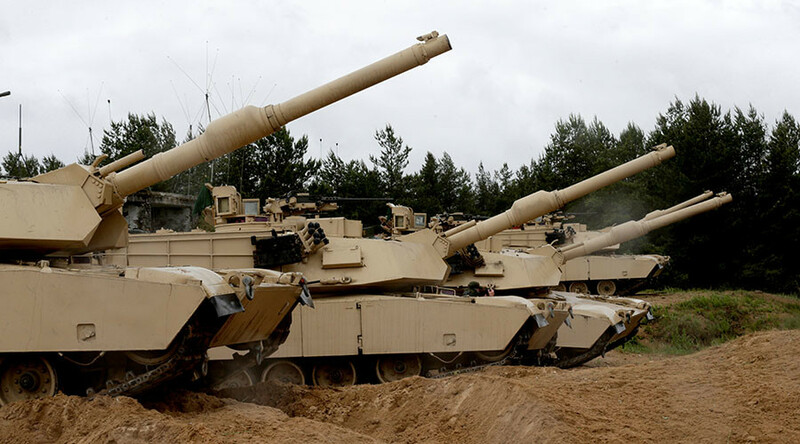 “Now NATO and the US have deployed about 1,200 pieces of military equipment, including 30 combat jets, as well as more than 1,000 soldiers on the territories of the Eastern European countries on a rotational basis. The US navy ships as well as military vessels of other NATO members regularly enter the Baltic and Black Seas,”Shoigu said Wednesday at the session of the Russian Defense Ministry Board that comprises Russia’s top military command, according to a statement from the Defense Ministry. “On May 12, an Aegis Ashore anti-missile defense complex became operational in Romania,”Shoigu said, stressing that this complex can be used to launch Tomahawk missiles and adding that construction of another such ABM site continues in Poland. The minister also warned that, after the Warsaw summit that will be held on July 8-9, NATO can “significantly increase”its presence and activity near the Russian borders. Special attention is paid to the issue of supplying the troops deployed in the district with modern weapons as well as military and specialized equipment. “This year, more than 2,000 pieces of new and modernized military equipment will enter operational service [within the units of] the western military district,”Shoigu announced. The drills, named “Cooperation-2016,”are due to take place in western Russia in August. “Such close cooperation will promote coordination of collective actions aimed at providing collective security,”Shoigu stressed in his speech at the Defense Ministry Board meeting.